All Your key to ESL teaching abroad at eslrecruitme.com! How early/late can I apply? Should I get a TEFL/TESOL qualification? What language do they speak in Uzbekistan? What requirements do I need in order to qualify to teach in Uzbekistan? How do I obtain medical documentation? How do I obtain a criminal record check? Can I apply with my friend/spouse/significant other? What benefits does the job offer? When can I apply and when is the application due? How long will my contract be? Is it possible to apply only for a summer position? Can I extend my contract once I am in Uzbekistan? How does the flight reimbursement work? Do I need to get any vaccinations? What documents should I bring to Uzbekistan? How much money should I bring with me to Uzbekistan? What is the cost of living in Uzbekistan? Will I be able to use my credit card(s) in Uzbekistan? Is it possible to save money while working in Uzbekistan? What should I bring with me to Uzbekistan? What happens when I arrive in Uzbekistan? Will a cellular phone be provided? How will I receive my salary? What is my stipend calculation start date? Will I have internet access? Can I receive mail or packages? I am a vegetarian - will this be a problem in Uzbekistan? Do I have to pay taxes in Uzbekistan? What ages will I teach? What is the actual time spent in the classroom during a typical week? What will my main responsibilities be during classroom instruction? How many students will be in one class? Will I have access to materials such as printers, textbooks, and workbooks? What school supplies/teaching aids should I bring? Will I be in charge of creating my own lesson plans or will I follow a curriculum? What should I wear at school? What form of transportation do most teachers take to school? How many other native ESL teachers will be teaching at my school? Is it easy to meet other expats in Uzbekistan? What dates are the schools in session? Can I teach extra lessons to make additional money? When can I take time off for vacation? What are the official holidays in Uzbekistan? 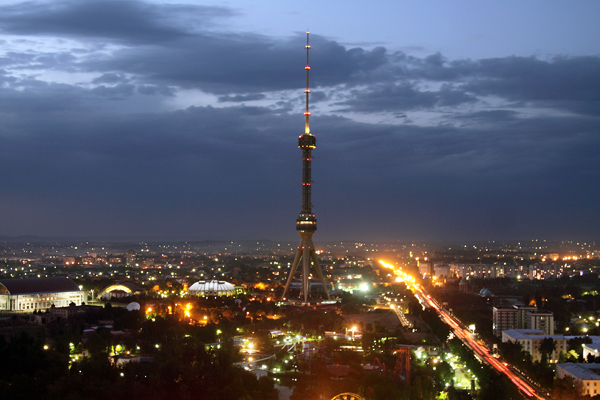 Can I travel to another country while teaching in Uzbekistan? What type of accommodation will be provided? Will I have running water and electricity? Do I pay for my accommodation? Is it possible for me to find my own housing? You should start preparing to apply approximately 1-2 months before your intended start date. 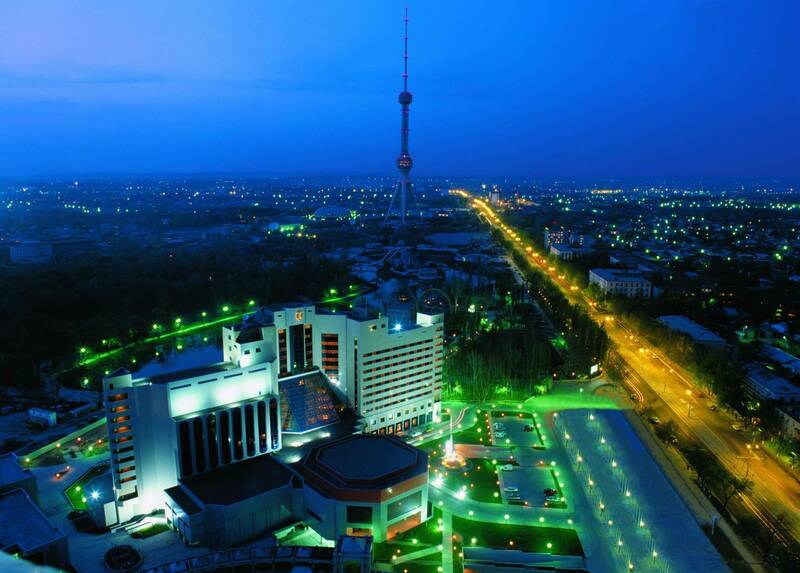 Gathering your documents and preparing your move to Uzbekistan will take about a month. Click here to apply. Should I get TEFL/TESOL certified? If you are not already certified in ESL, TESOL, TEFL, or DELTA, then yes you will need to be certified before your application can be processed. Please click here to get more information. There are no fees to apply. Click here to apply. The official language of Uzbekistan is Uzbek. Absolutely! However, like in any country, you should exercise some caution: be aware of your surroundings, keep an eye on your belongings, don't walk alone late at night, etc. Have at least two years of ESL teaching experience with adult learners. There are no medical documentations required; however, when you arrive in Uzbekistan you will need to complete a HIV/AIDS and tuberculosis test. Criminal Record Checks (CRCs) need to be nationwide and must be no more than two months old by the intended date of arrival. If you have lived for a lengthy period of time in multiple countries, then multiple background checks may be necessary. Each country has its own process for obtaining CRCs--please consult your government for specific advice or click here for more information on obtaining your CRC. Yes, both entrance visa expenses will be covered – US$160/person (which is given for 1-2 months) and prolongation visa expenses – US$ 160/person – for the remaining 6 months. In addition, there will be additional documents, which the employer will get from their Ministry of Foreign Affairs; ESL Certified will send you these documents and you will need to take them with you when you travel. However all other documents and visa preparation will be handled by the employer. What benefits does the program offer? Applications are accepted on a rolling basis; however, the position will start in September and you will need to have submitted you application at least one month before September. Contract lengths can vary from six to eight months, depending on arrival date. Click here to apply. Contract lengths can vary from six to eight months, depending on arrival date. Click here to apply. 20.) Is it possible to apply only for a summer position? Possible - please contact us to learn more. Yes, you may extend your contract. How does the flight work? 100% of your round trip air ticket cost will be covered. You will need to provided us with your two preferred departure city once your application has been accepted. ESL Certified and/or your employer will not pay for the costs of checking additional baggage or any additional expenses associated with your travel to Uzbekistan. You are responsible for getting yourself to your departure airport(s). No, however we recommend consulting your physician to determine which vaccinations are recommended based on your health and past vaccination history. Your diplomas, certificates, passports, resume including references. Keep your boarding passes! Varies. However, we recommend that you bring approximately one month's salary to address any potential first month expenses, such as tourism, food, and etc. Summer and winter clothes, winters can be cold and summers here are hot. Yes, this is a requirement for your lessons. Representatives of the school will be at the airport to meet you and then there will be an one day orientation tour of the city. No, a phone will not be provided; however, a sim-card will be provided to you. In addition, the school will provide you with a $2 USD credit on your phone account; however, all other phone expenses will be paid by you. Incoming calls (landlines and cellphones) are free, outgoing calls to the other cell phones are $0.005 USD, after four minutes it is free to the landlines. Monthly. Payment will be given in cash. What is my salary calculation start date? The day of your arrival. Yes, there will be internet connection in the apartment – you will be given a 3G USB modem and an internet package that will be paid by the employer; however, any usage overages will need to be paid by you. Before someone sends a package to you in Uzbekistan, make sure to check all the rules and regulations regarding postal service. Please be advised that the rules and regulations are subject to change without warning. I am a vegetarian - will this be a problem in Georgia? Yes, maintaining a vegetarian diet is definitely possible. Yes, your salary of 1,300,000 Uzbek is what you will receive after taxes. Primarily students from 14-45 years of age. This varies greatly on your work schedule. To teach a preparation study program for non-native speakers (both IELTS/TOEFL and General English) - They must also grade students work and they must create lesson plans for ESL and IELTS. Class sizes vary; the maxium class size is 6-8 students. You will be able to print out class materials; however, the school's office-manager will usually do this for you. In regards to textbooks the employer will be able to provide the electronic verision but you will need to have the program. Your laptop and any teaching aids you find that will help your students. Yes, you will be in charge of creating your own lesson plans. What form of transportation do most TLG Volunteers take to school? The school will be in walking distance to the apartment. There will be three or more. Yes. In addition, during the spring and fall there are many tourists that come to Uzbekistan. What dates are the school is in session? Teachers will receive time off during the summer and winter holidays. The Uzbekistan official holidays - Please click here for more information. It is possible; however, you will need to obtain the proper visa documentation in order to do so. In shared housing within walking distance of the school. Accommodations will be located in the Civic Center, which will be fully furnished. The apartment will be shared. There will be 3 teachers living in one home. There will be washing-machine with all required facilities, except a dishwasher. No, it will be provided to you.